Why did the book, The Lion in the Living Room, call to me? I had two cats that lived a long time before they passed several years ago. I loved them. I miss them. When I saw the cover of Abigail Tucker’s book, I thought reading it would bring back memories of my cats and a chance to learn even more about them. Tucker’s book definitely did both and more. Amidst the good and not-so-good, Tucker gives us very interesting detail about the history of house cats and our relationship to them. For starters, I bet many cat lovers did not know that “all house cats come not from a genetic mash-up of many feline species but only from one:” the African wildcat or forest cat. While possibly true for some people who have no children (by choice, chance or circumstance), as someone who has extensively researched the childfree, she did lose me when she refers to house cats as having “fake babies” or “fictive kin.” While having house cats may feel like faux parenting for some childfree people, I can tell you that many of them would not describe this as their experience. And that includes me. Tucker opened my eyes big time when she speaks to the negative effects of the domesticated cat population on the planet. With at least 600 million worldwide (some scientists put the number closer to a billion), the “International Union for Conservation of Nature ranks cats as one of the world’s 100 worst invasive species” and the Australia’s Wildlife Conservatory calls house cats “the ecological axis of evil”! We learn how domesticated cats have uniquely impacted and transformed different ecosystems, and why large scale efforts to lessen the numbers have not worked, and sometimes have ended up doing more harm than good. Then there are those who lobby for the lives of all of these cats. Tucker gives us a real handle on the fight for domesticated cats’ rights and how strong cat lobbies continue to work to reform the U.S. animal shelter system and stop euthanasia. Another house cat fact that surprised me involves the parasite that many, many of them carry, and how cats pass it to us. Toxoplasma gondii is “believed to inhabit one in three people worldwide” and can have real effects on humans. Not just cat lovers will want to know how to avoid getting this parasite. Tucker gives a lively discussion from cats’ point of view, like how they fare as indoor pets, what their inner lives are like, and how they experience living with us. Does having dogs fare better? You get her take. She also takes us into the world of purebred “top cats,” breeding strategies that may prevail, and what we might expect domesticated cats of the future to be like. The final chapter, “Nine Likes” particularly fascinated me. We learn how cats’ “online takeover fits with a much larger pattern of ecological and cultural conquests” going way back in history. 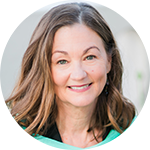 I would wager her detail on viral current trends – the craze of captioning photos, emoticats, and seeing Hello Kitty as a modern day sphinx – will inspire cat lovers to check this out online or get even deeper into it. 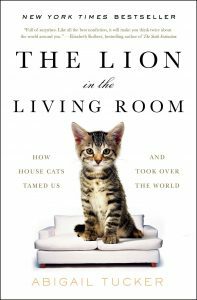 In the end, I loved the loads of interesting information in The Lion in the Living Room, but if you love cats…be prepared for the dive into the dark side. Did I leave this read wanting another cat? Read this book, tell me your answer, then I’ll tell you mine.